Following in the wake of Greece’s Syriza, another far-left party has taken a polling lead in Europe. This time, it is Spain’s Podemos, a party founded in March this year, which wants to repeal the Treaty of Lisbon, take public ownership of major industries and hike government spending. The party has surged in recent months: it gained 8% of the vote in European parliament elections held this May, and is beating every other party in polls. In the latest set, 27.7% of Spaniards said they would vote for Podemos, beating both the established social democrat party and the governing conservatives. The rise of Podemos changes the political landscape in Spain: Its party platform includes calls for increased public control of key sectors of the economy (such as energy, or even the pharmaceutical and food sectors), a restructuring of Spain’s public debt and the reversal of the labour reforms of recent years. The issue is not just for Spain. Nationalisation and a massive loosening of fiscal spending are subject to stringent EU rules that the party clearly does not care for: if Podemos got into government and tried to implement their platform, it would provoke outrage in the European establishment and could trigger copycat moves in other countries. 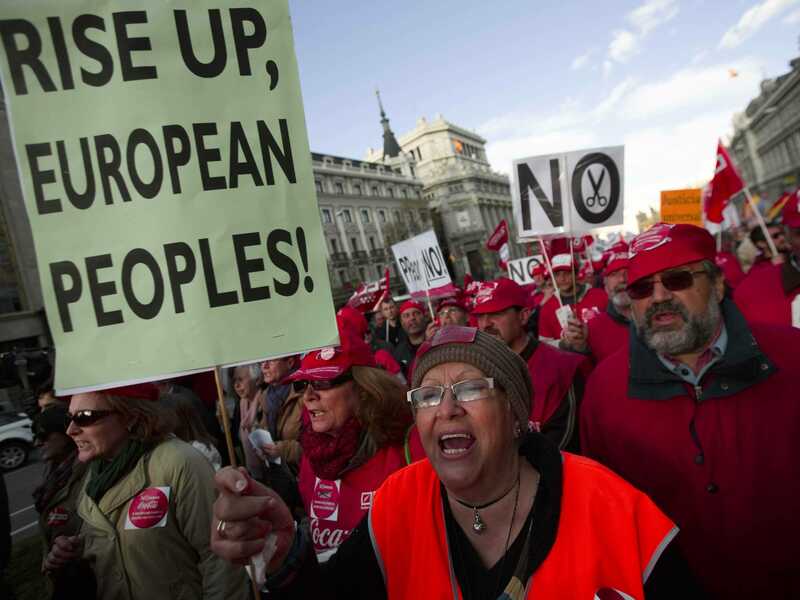 Spain would have to break rules in the European fiscal compact that it already signed up to. Even if it cannot form part of a government, a strong Podemos result at the next election would make forming a stable government in Spain far more difficult. Markets would be well advised to reassess their views of Spain which, we believe, have been far too rosy.